I’ve has been producing radio for more than 20 years. Beginning with an invitation by Bart Plantenga to participate on his ‘Wreck This Mess’ program on Radio Libertaire 89.4 fm in Paris. Later I was selected by Jean-François Bizot & Loik Dury at Radio Nova where I delivered my weekly program ‘Sub Para Dub’ which was the first digi-dub program aired in France for over six years. At the start I shared my space with DJ Morpheus. During my years at Nova, while being interviewed for my album ‘TICK’ with Negative Stencil on Aligre FM. Denis Prevot asked me if I would be willing to also do a show on their independant « no commercials » station. I accepted and began ‘Audiometric‘ which explores a much wider range of contemporary and electronic music. It has been going for more than 20 years. Audiometric : broadcast weekly on Aligre FM in Paris – IDF, Jet Fm in Nantes, Eko des Garrigues in Montpellier, Radio Grenouille in Marseille and Radio Active in Toulon. I have a selection of my radio shows posted on Mix Cloud. A list of other Radio Creations I have produced or participated in. Resonance FM, London, 2 Spoken Word vs Broken Bird mixes with Sam Britton. 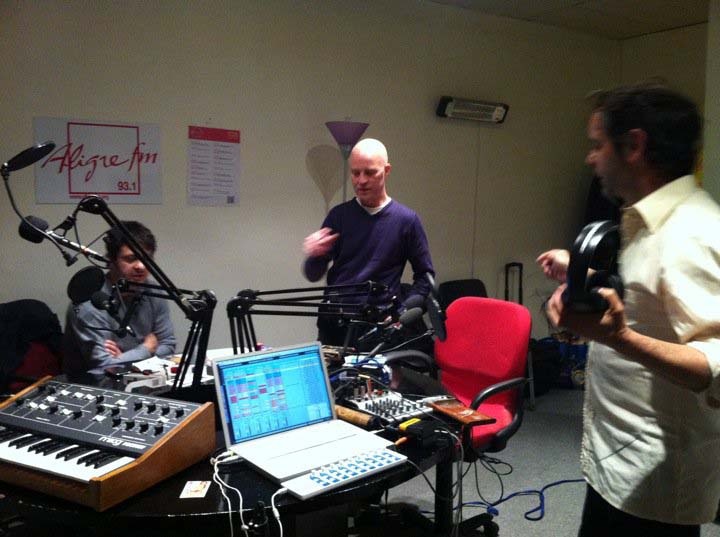 Sklunk Festival Epsilonia, Paris, Black Sifichi vs. Thierry Madiot – Radio Libertaire, Paris.